Come back to campus to spend the day helping today’s students find their paths outside of the limestone walls. Strengthen Dickinson’s career network by meeting students and alumni in a wide variety of fields, attending professional development sessions, and learning about new career counseling opportunities for alumni during our annual Career Conference and Networking Day. 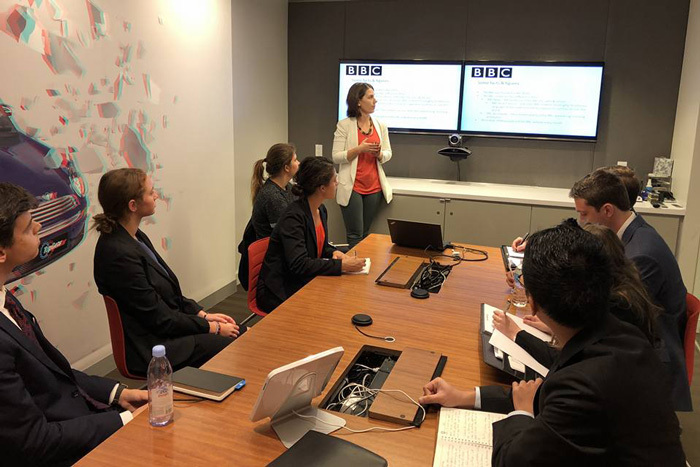 Students travel to NYC, D.C. and Philly to peek behind the doors of global organizations and meet alumni who work there. 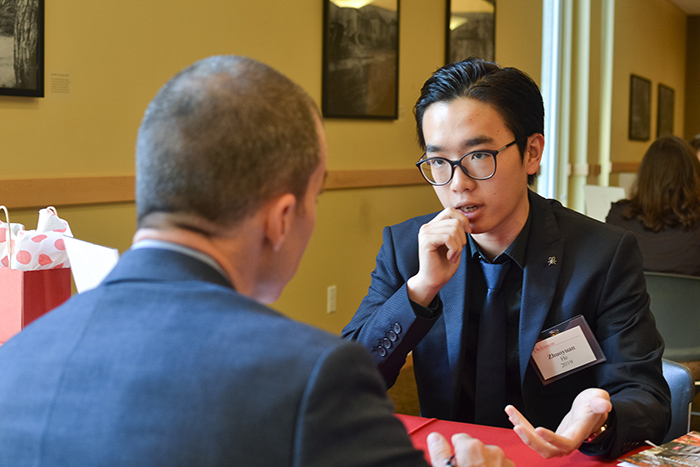 Students get invaluable career preparation from alumni through mock interviews, career discussions, professional development sessions and a networking lunch during the annual Career Conference. 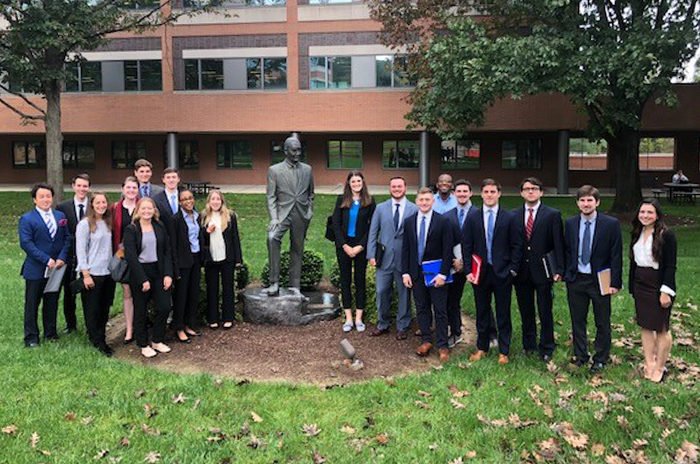 Students connect with professionals in New York and Washington, D.C., to experience career paths firsthand.